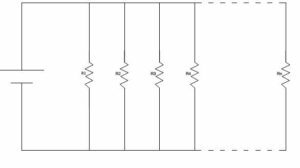 Current flow in a circuit is determined by the impedance offered by the circuit components, which is in turn determined by the way circuit components are connected. 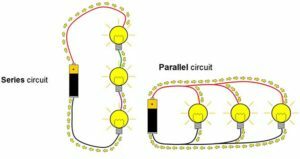 Series connection and parallel connection are the two simplest ways of connecting a circuit. 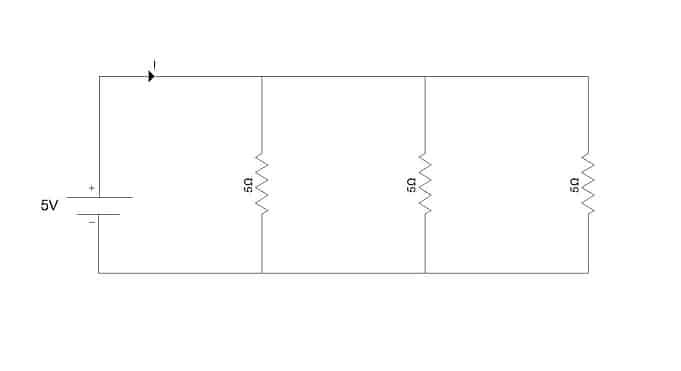 Series connected circuits consist of two or more active and/or passive devices connected in series. 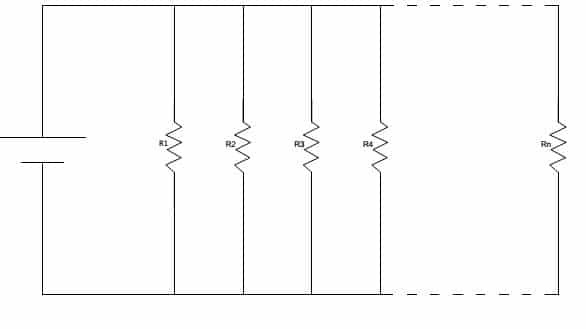 The current flowing through these circuits remains same at any point but the voltage varies. The voltage across the circuit shall be equal to the sum of voltages across each device. Parallel connected circuits consist of two or more active and passive devices connected in parallel. In these circuits, Voltage across any branch remains same but current flowing through each branch varies. Total current is equal to the sum of currents through each branch. The above figure is an example of series connected resistance network. In a series connected circuit there shall be only one path for the flow of current. The rate of flow of current depends on the equivalent resistance of the circuit. The current encounters a resistance which is equal to the sum of resistances of each device in the circuit. Considering the circuit shown above, the equivalent resistance offered by the circuit shall be equal to the sum of R1, R2, and R3. The above figure is an example of parallel connected resistance network. In a parallel circuit, current flows through more than one path and the rate of current flow through each path may vary, be depending on the resistance offered by each path. 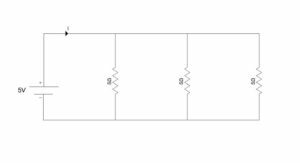 The equivalent resistance of the circuit is equal to the sum of reciprocals of resistances offered by each device in the circuit. Considering the circuit above, the equivalent resistance offered by the circuit shall be equal to the sum of reciprocals of R1, R2, and R3. 1. Series and parallel network.